Location: On the highlands of Kenya - just 20 minutes from the City centre. Facilities: 18 hole international course in an exotic setting of beautiful wood and parklands, Club and elegant Conference facilities, 2 Tennis and 2 Squash Courts, Croquet Green, Health Club, a variety of Restaurant offering a'la carte and table d'hote menus. Facilities include Pool, an Arcade of Shops, Art Gallery and Boutique. Opinion: Period piece accommodation, offering excellent service and cuisine. The Norfolk Hotel is a thirty-minute drive from Jomo Kenyatta International Airport and a short distance from Nairobi's shopping and business district. This 116 room Hotel is one of the world's most romantic hotels. The Norfolk opened on Christmas Day, 1904, and no other Kenyan hotel has as rich a history. It is said that Nairobi as a capital city grew up around the Norfolk. The hotel's colonial English 'Tudor' style architecture preserves a time now lost. Hotel facilities include five gourmet menus and three bars, safaris and sightseeing services, conferences and business center (five air-conditioned conference rooms which can accommodate groups of 24 to 255 people), swimming pool, health club (gym, saunas, steam rooms, aerobics classes and massage), hair & beauty salon, shops and news stands, piano entertainment in the evening. All bedrooms are equipped with a mini-bar, TV and radio, direct dial telephone air-conditioning etc. All rooms have private bathroom with shower and bath. Location: A five minute walk from the City Centre. Shops, Theatres and Restaurants - Twenty minutes from the airport. Facilities: Five Restaurants, The Delamere and Ibis. The Delamere Bar & Terrace, a wide choice of Public Rooms, Beauty Salon, Swimming Pool and Gift Shop, with Golf on request. Opinion: Nairobi's first hotel, an Edwardian classic set in peaceful grounds with aviaries, capturing the atmosphere of the turn of the century. Location: Close to the centre of town. Opinion: A modern hotel providing a high standard of accommodation and service. Accommodation: There are 385 air-conditioned en-suite rooms. Opinion: A first class hotel in a convenient location. The Stanley has been a central landmark of Nairobi since 1902. To date, it has very much kept alive the glory and glamour of yesteryears. And, in keeping with its place at the heart of Nairobi's central business district, The Stanley offers some of the finest accommodation, restaurants, health club and conference facilities in the country. Facilities: 3 Restaurants, choice of Bars, Thorn Tree Café, Swimming Pool. Accommodation: The Stanley has 217 rooms including suites. Location: In a traditional setting conveniently located near Westlands -just north of the City centre - 40 minutes from the airport. Facilities: There are 2 Swimming Pools. Breakfast is enjoyed in the airy White Mischief Restaurant, which offers international table d'hote cuisine at economic prices. Accommodation: Twin bedded rooms, each with en-suite Bathroom, TV and Telephone Rooms are located on three levels, with a block of Superior Rooms to the rear surrounding a peaceful garden atmosphere. Location: 20 minutes out of town set within 64 acres of tropical gardens. Facilities: Include 7 Restaurants and a choice of 3 Bars, Night Club, Swimming Pool and Sports facilities. 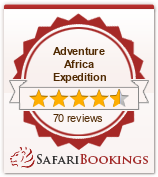 Accommodation: The Safari Park has 204 rooms including suites. Location: Five minutes from the City Centre - twenty minutes from the airport in Nairobi's facing famous Uhuru Park. Facilities: Include a Health Club, Boutiques and Swimming Pool with its comfortable Coffee Shop. The tented ceiling Restaurant also offers a'la carte. Accommodation: Totally refurbished 190 rooms are air-conditioned with en-suite bathroom, TV and Video, Mini Bar and Telephone. Opinion: Peacefully set in landscaped, tropical gardens, this hotel enjoys the distinction of being included in 'Leading Hotels of the World'. Location: In Westlands, 5 miles from the City centre - 40 minutes from the airport. Facilities: Cuisine from the Pizzeria, The Table d'hote Dining Room or outdoor Barbeque. The hotel is equipped with a large Swimming Pool & Hairdressing Salon. Accommodation: 120 twin rooms with Private Bathroom and Telephone. Opinion: Block hospitality, centred around a 4 acre garden atmosphere. Location: The Hilton is located in the heart of Nairobi City shopping area, about 20 minutes from the airport. Facilities: You can dine at the Amboseli Grill, the Mara or Watamu Restaurants or enjoy a Bar-B-Que at the Poolside Bar. Also there is the Jockey Bar and the Pizzeria. There is a heated swimming pool and fully equipped health centre with sauna and steam bath. The Hilton has its own arcade of shops. Accommodation: Bedrooms are well appointed with a fully stocked minibar, personal safe and many have a panoramic view of the City park. Opinion: The hotel offers international famed Hilton service: luxurious accommodation and q wide choice of cuisine.